Public ownership of gas and electricity is destined to become a cherished aim of the Labour Party. For years under privatisation, the swindling of the consumer has gone hand-in-hand with outrageous profit-taking by the corporate giants, to the loss of the public purse. Far from helping customers through keen competition, the main effect of energy privatisation has been – like austerity – a redistribution of wealth from the have-nots to the well-to-do. What a pity, therefore, that Labour cannot renationalise it! Britain is a member of the European Union (EU) and as such bound by the EU Treaties. Indeed, every British court is duty-bound to enforce every EU law in preference to any conflicting British statute. Under Article 106, the EU prohibits public monopolies exercising exclusive rights where this violates EU competition rules. The EU’s Court of Justice has interpreted Article 106 as giving private companies the right to argue before the national courts that services should continue to be open to private-sector competition. Nationalised services are prima facie suspect and must be analysed by the judiciary for their “necessity”. Thus the EU has given companies a legal right to run to court to scupper programmes of public ownership. The fact that EU law has this effect may seem astonishing. Many on the Left seem unaware of it. Those fond of the EU tend to go into denial over it. Despite Greece, there is a tendency to displace the EU’s neoliberalism onto the nascent Transatlantic Trade and Investment Partnership: “EU good, TTIP bad”, so the chorus goes. Yet the consensus that EU law really does preclude renationalisation is pretty overwhelming. Legal scholars regard the jurisprudence surrounding Article 106 as “revolutionary”, since it reverses “the decades-old presumption…that Member States are free in principle to determine their preferred system of property ownership”. Even Polly Toynbee endlessly reiterated that EU competition law would make NHS privatisation irreversible, though curiously this didn’t dampen her pro-EU ardour in the long term. Furthermore there is scant prospect of Article 106 ever being repealed. To do so would require the common accord of all the governments of the EU Member States. You’d only need a single neoliberal government to veto such a Treaty change. For good measure, from the 1990s onwards there was a surge of EU liberalisation directives opening up gas, electricity, transport, telecommunications etc to private sector involvement. Fat chance of a Labour Britain getting these repealed either: to do so would require a “qualified majority” of Member States. Labour therefore faces a choice: dump the EU or dump renationalisation. Whatever choice it makes, the fact that EU membership outlaws renationalisation needs to be fully understood throughout the Party and labour movement. Why is Labour now fighting shy of nationalisation? Posted in: Europe, International, Politics, Public services. The difference between the anti EU shroud waving above and reality is that only monopoly nationalised services are verboten under EU law. Publicly owned ‘municipalised’ services are not. Corbyn has argued for just that to happen to energy companies and other vital ‘services’. Entirely doable and, frankly, more likely to deliver the main aim of making energy & water utilities more responsive to local need, and, in time, meaning they lose their stranglehold on energy production, at least, to community power producers. Rail public ownership can be achieved at zero cost by letting current franchises lapse. Community groups formed of passengers and staff can then take on each one as they fall available as community enterprises. Merge into regional organisations and a semblance of seamless service returns, at far lower cost than the current privatised mess. The real threat to democracy in the EU is TTIP and it’s pernicious, profoundly anti democratic ISDS corporate resolution mechanism. This affront to public decency makes any existing laws look positively communist by comparison. The EU provides many benefits to workers and citizens alike. Tories would love nothing more to extricate us from it’s protections so they can convert the UK to Workhouse Britain. I posted this in response to Michael Meacher’s article earlier today, but it will bear repeating here. Everything you say is true but that’s really only the tip of the iceberg so speak. We need to get out and as quickly as possible, as far as I can tell TTIP and TAFTA, which too closely mirror the predatory and generally exploitative American economic arrangements in South America, Canada and Australia are an unwanted and undesirable imposition that seem to me to make most of the current lively, (if sometimes vacuous,) debates about economic policy completely redundant and irrelevant. It may not be too much of an exaggeration to claim that once it’s finally in place TTIP will render an independent UK economic policy illegal and will give the dreadful neolibral, (Globalization/Free Trade,) economic agenda the force of international law. Certainly the experiences of other countries, (South American for example,) under this type of agreement are not encouraging and the notion that the UK might be able to negotiate any meaningful concessions or accommodations is totally unrealistic in my view. Well Wales is going to be one of the first, they are now to go ahead with a not for profit railways, this does meet the criteria of the EU since it will be run by a private firm made up of well it could be the councils with a managing director from within the private sector. The lawyers says this actually meats the criteria laid down by the EU. Scotland are also looking at something very much along those lines. Germany has a mess of a railways run in party by private i and in part by nationalization so does other countries. Funny a rail line in the North was state run (until the Tories re-privatised it) and Govt took over 80% at least of 2 banks to save them but just another reason to stay and to fight to reform the EC and to change the rules to kick Neo-Liberalism out of the whole of the EC! There are anomalies however – one is that the nationalised German and Dutch rail have shares in our privatised rail. This makes complications surely? Also, under competition laws, there must be loopholes that show that monopolistic rent seeking and pricing is unfair, and that it is all propped up by government subsidy anyway. In other words, it is easily dismantled by proper reasoned argument, and therefore obviously biased in favour of the oligarchical structures who lobbied for it in the first place. We are all being too pessimistic. There is nothing to stop the politicians from getting rid of these treaties if they really wanted to, and are forced to by an informed people. It is the last issue here that is the problem. I agree with Sandra, what is the meaning of democracy if we can’t change things because bad laws were introduced, nothing is written in stone, In reality we are facing a corporate takeover of society and they have steadily introduced their legislation into law, we need an enabling act that supersedes all laws that interfere with due democratic process, until we can eradicate the pernicious neo-liberal laws that dictate to us today. We have to be the vanguard for change, our children’s futures are being strangled and a system that traps them into debt as a means of retaining power for the few. I have also struggled with this notion of democracy in an environment where treaties of one form or another exist at all. Are we saying that there is no role for treaties except those that can be overturned by government (and democratic) will? If this is so then a governments cannot form binding agreements that last longer than the duration of a single government of either of the nations. That is the logic of my own view but I suspect that there will be situations (I have yet to imagine) whereby I would see the need to have binding agreement that exceeded the period of a specific government – especially if it commits me to having to invest large resources. Verity: My own view of legislation is that nothing can be written in tablets of stone, if we compare a government like the Tories that came to power without a mandate and in contradiction of everything they promised before the election, put through legislation to privatise our NHS. Then if they can do that, we can reverse everything they do without exception, the same goes for anything European. Yes Sandra and food for thought. The point I was making is that we need to work with our sister parties in the EC to kick Neo-Liberalism out in the whole of the EC! Then equally with our sister parties in every country of the World! As internationalists we should be ambitious! Yours in peace & international solidarity! RE Danny Nicol Labour therefore faces a choice: dump the EU or dump renationalisation. Danny explain the situation in France starting with rail? All Corbyn had to do was weather the storm, stick to his anti-austerity line and a landslide victory in 2020 was assured. The decision to campaign with Cameron for the neo-liberal EU and his `reforms’ to it will however cost Corbyn that victory and hand the Tories another five years we surely cannot afford. It might be that he is keeping his head down as he is being attacked from all sides at the moment, but agree aligning with the Tories would be the kiss of death. I think we need a national debate, and can’t see that staying in is a possibility, given TTIP and Neo-Liberal governments in Europe, but we still have to dip our toes into the waters of political debate with the other people of Europe; for a European rejection of the whole agenda. My comment was never published? A state set up state run companies competing with the private companies on a level playing field. As proposed by Ed Miliband with rail companies. If a company can re-invest most of it’s profits into R&D, maintenance, customer care or price reductions while keeping a high level of service, then it will attract more custom. What a pity, therefore, that Labour cannot renationalise it! Britain is a member of the European Union (EU) and as such bound by the EU Treaties. Indeed, every British court is duty-bound to enforce every EU law in preference to any conflicting British statute. Under Article 106, the EU prohibits public monopolies exercising exclusive rights where this violates EU competition rules. The EU’s Court of Justice has interpreted Article 106 as giving private companies the right to argue before the national courts that services should continue to be open to private-sector competition. Danny Nicol is a professor of law and I am not. All the same I question his presentation of this issue. First of all, I think that it should be regarded as unacceptable for an academic, with all the means of access to resources that this provides, to write an article on a controversial matters with no references or links to source materials. Second, it is near pointless to contribute to such a debate without making any effort to deal with the most obvious responses from those who take a different position. The failure to do either of these things amounts to playing to some gallery or other and does not help serious debate. I have read Article 106 and the associated Articles and it is not at all obvious to me that they prevent nationalisation. I suggest that anyone inclined to agree with Danny Nicol should do the same. And what is perhaps even more to the point is that these treaty articles have in fact not prevented a series of nationalisations across Europe from taking place. The Dutch nationalised the financial conglomerate SNS Reaal a few years ago. Hungary nationalised its scrap metal industry and other sectors since joining the EU. The European Court of Justice ruled against an Italian citizen who took out a case against the Italian government’s nationalisation of energy companies. Last year the Polish regulator recommended the nationalisation of Polish energy companies. And let’s not forget Northern Rock. There are many more examples. Taking companies into public ownership therefore seems to me to not be clearly blocked by EU law, not to have prevented nationalisations from taking place and not to have taken nationalisation off national agendas. Some good and interesting points, (food for thought certainly,) and supporting links, (in moderation,) are good, but my own profound pessimism about all this is based very much on the Third World, (which is the direction in which the UK seems to me to be moving, is being driven, incrementally,) and Latin American experiences of this kind of American, (ultimately,) economic policy. I would also suggest that examples of nationalizations, (actually not really a nationalization as such; just another emergency bank bail out to protect the wider system,) such as the Dutch one that cite you as exceptions would probably become illegal under TTIP and that even if they weren’t as such, in the strict sense, they would still be sufficient basis for the kind of malicious and vexatious corporate prosecutions for which the US is also infamous. 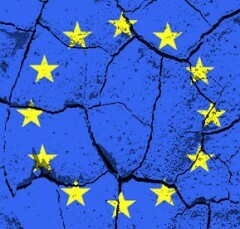 In my own view the EU as a political institution seems now to be so corrupt, so unaccountable and is so completely and so deeply in pockets of the corporations that reform, any reform, but particularly democratic reform or reforms intended to curb the influence of the over-mighty corporations, would be impossible. Better just to get out although as Greece found out, that would still be far from cost free. David like everything in the EU, rules are made and broken to suit the needs of the ruling elite. Why for example, if printing money for Greeks would be wrong, defined from their point of view, have they in turn decided to create Quantitative Easing for the Banks? It appears to me that the EU will change it’s mind on any topic so long as it serves their objective at the time. The real crux is who’s interests they actually serve? What is certain is that the general public are the last in the queue, so how do we mobilise people into getting our desires and aspirations heard? I believe that fundamentally we have to expose the corrupt elite in Europe from the outside by showing an example of what can be achieved, rather than worrying about dealing with legalistic terms that are designed to thwart progressive politics. Socialism is made illegal by the EU’s foundational treaties but it doesn’t stop the ruling classes from subsidising corporations or even nationalising strategic industries when it suits. It’s an alliance of hypocrites based on beggar thy neighbour and since the 2008 collapse it is doomed any way. Another Europe is Possible. Is there any chance that this could turn into a real debate in which the points made for EU membership are actually taken head-on by those against it? What we have had so far is mere assertion and apparent evaluations which are no such thing (i.e. how much effort would be required to change the EU compared to effort that could be used for other things). Thus Danny Nicol says that EU membership prohibits nationalisation (with no supporting evidence). Several posts have challenged this but there has been no come back. Can we please make this into a real discussion and not mere statements of position? And wouldn’t it be a welcome democratic change to the norm if Danny Nicol could participate in the discussion and reply to questions and criticisms? The foundational principles and institutions of the EU are negotiated by the imperialist capitalist states of Western and mid Europe. Anybody who thinks that can be reformed is not in the real world. It must be replaced by a socialist European Federation or Union which means negotiations between socialist regimes as and when they take power in the individual member states i.e. when the German, British, French etc bourgeoisies have been overthrown one by one but hopefully in rapid succession. What has happened now is that Corbyn has already, like Syriza in Greece did, used support for the neo-liberal EU as an excuse to drop his anti-austerity in the name of keeping the right wing of the party on board. Took him all of six days to sell out but the left reformists and centrist sects really are the useful idiots of liberal imperialism.